With today’s appliances & electronics becoming more used, more sensitive, & more expensive no one can escape the need for quality surge protection. Every day surges occur in your home. 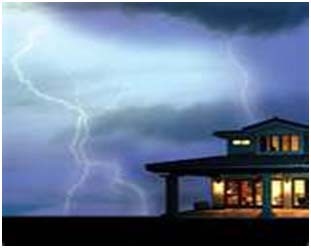 Most surges & spikes last fractions of a second, like a flicker, but are doing damage to your appliances & electronics. You may not see it at first, but over time it will show up. With a quality surge protector your electronic devices can last 30% longer and will run more efficient. Here are a few features about our surge protectors that make them a better choice over the surge protectors that even your power company may supply. * Cost of shipping will be $15.00 or less, depending on quantity. ** INSTALL PRICES ARE GOOD FOR A 30 MILE RADIUS FROM OUR STORE LOCATION. PLEASE CONTACT US FOR A FREE QUOTE AND EVALUATION OF YOUR SURGE PROTECTION NEEDS. Copyright © 2010-2011 Brian's Electric Inc. All Rights Reserved.